The president of the International Mission Board of the Southern Baptist Convention has announced that two investigations are underway regarding the board's handling of past sexual abuse allegations within the organization. 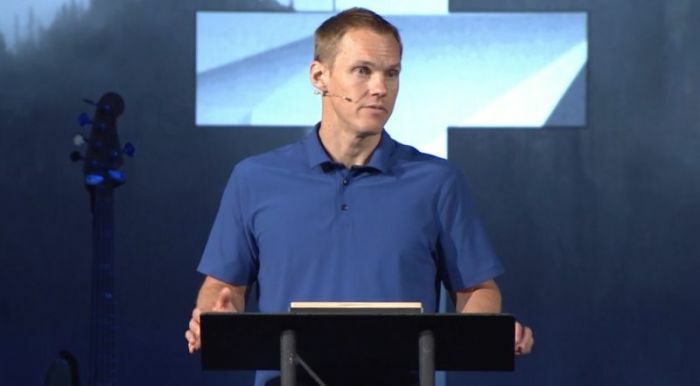 In a statement that was released this week, David Platt, who has served as the organization's president since 2014, said that he wanted to speak out amid reports related to the 21-year-old allegation of sexual abuse against Mark Aderholt, a former youth pastor who then became an IMB missionary and subsequently served in other ministry leadership roles within the denomination. Baptist Press reported Wednesday that the IMB investigated the matter internally in 2007 when they learned of it, and it was scheduled to go before the board of trustees, "which, at that time, was the only group with the authority to terminate a member of our missionary personnel," according to written comments from IMB spokesperson Julie McGowan. But Aderholt resigned on his own before the board could vote on what to do. The IMB's policy has reportedly been revamped such that missionaries can now be fired by "staff senior leadership." While he could not comment on the details of the specific case due to the ongoing criminal investigation, Platt said in his statement that many facets of the situation were "extremely disturbing." "For this reason, I am commencing a thorough, outside, independent examination of IMB's handling of past actions — including this case and any other similar situations. In addition, I am commencing a thorough, outside, independent examination of IMB's present policies and practices to ensure that our current commitment to zero tolerance for child abuse, sexual abuse, and sexual harassment is completely and consistently enforced across IMB today," Platt said. "Further, I am presently in conversations with leaders of other churches and ministries, particularly within the SBC, to establish practical ways we can and must prevent situations like this in the future. Any attempts to minimize, ignore, cover up, or overlook child abuse, sexual abuse, or sexual harassment are absolutely intolerable, and we must take action together now to ensure safety and support for every person employed or affected by a church or ministry." Platt went on to apologize to Anne Marie Miller, the woman who made the allegation in the case, applauding her courage and noting that he could not begin to know the extent of the suffering she and others like her have endured. Though the investigations cannot remove pain, he said, "I am committed to doing all that I can so that her courage, and the courage of others like her, will prevent hurt and pain among others in the future. "In conclusion, we must do better. In the IMB. In the SBC. In any church and any ministry, we must do everything we can to protect children and adults from abuse and harassment, and we must do everything we can to hold anyone who is guilty of these things fully accountable." Earlier this year, Platt announced that he was resigning from his role as IMB president and asked the trustees to start searching for his successor. He is presently serving as a pastor at McLean Bible Church in McLean, Virginia, a large evangelical megachurch outside of Washington, D.C. In an email to Baptist Press Wednesday, Miller said she was "grateful" for Platt's "immediate and thorough response." "His apology and the action of obtaining third-party investigations into my case and all other similar cases demonstrates his commitment to not tolerating sexual abuse or misconduct in any capacity," she wrote. "Furthermore, the conversations happening in the IMB and in convention leadership encourage me that abuse survivors will finally have an ally in the Church as we pursue healing. It's my prayer that past and present survivors receive the support we need and the policies which result from these changes will prevent future victims from becoming so. I am excited and hopeful for the future of the SBC and am thankful for the many voices who are encouraging and inciting change along the way."